Trent Alexander-Arnold has been sent home from England duty and will not feature in either of the games against Czech Republic or Montenegro due to a back injury. 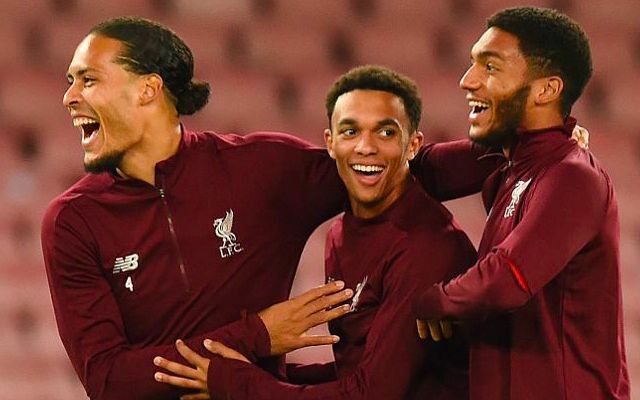 BBC Sport reported the news last night, stating that although Trent had ‘made progress’ since joining up with the squad, it was unlikely he’d be fit enough to play either game. If this means Trent heads back to Melwood, gets a little rest and is fully fit for our title pursuit and the manic April – happy days. But if there’s a niggling problem that makes him a doubt for our next match with Spurs, we’re in trouble. Liverpool badly struggled without the youngster in January and February – and his presence down our right flank should not be underestimated. Andy Robertson is already missing Scotland fixtures due to a dentist appointment and Xherdan Shaqiri pulled out of the Switzerland squad with an odd concern regarding his groin.